If you need to reach us, please email us at info@dragonleads.co.uk, alternatively, you can phone on 07798 518759. This line is available Monday to Friday 9.30am to 5.00pm GMT and calls are charged at your normal mobile rate. At other times there is an answer phone service, or write to us at Dragon Leads, 29 Broadlands Road, Hickling, Norwich, NR12 0YG. United Kingdom. To order from us could not be easier. Just browse our site, and click on the "Add to Cart" button for any items that you wish to buy. When you have added all the items you require select the "Proceed to Checkout" button. Fill in the details required and then your payment details. Post and packing is automatically calculated by weight and will appear on the order form. We accept credit card payment via Paypal, you are not required to set up or have a Paypal account. Recent changes by PayPal may mean you need to follow the first 'Create an Acoount' link to access the card payment page. You may also make a payment by cheque, please state your requirements clearly and post to the above address. Please make cheques payable to 'Dragon Leads'. Any order placed on this site before 3.00pm Mon-Fri will normaly be dispatched within 3 working days by Royal Mail recorded delivery. Worldwide post and packing charges are automatically calculated and are based on the size and weight of the items ordered. Orders recieved via post will be sent the day after cheque payments clear, normally 7 working days. If your item is not in stock, we will make the order for you, subject to material and fittings availability. For large orders (10 items or over) you will be emailed with the expected dispatch date. All credit card transaction are proceesed through the PayPal payment gateway. Your credit card details are collected on the Paypal secure site only, we do not have any access to them. Every product purchased from us is guaranteed for 12 months, if your purchase fails in some way within this period you may return it to us and we will repair or replace it. The above guarantee does not cover misuse, physical damage, damage caused by fire, liquid immersion or spillage, incorrect fitting, or any form of corrosion. All guarantees are in addition to and do not affect your statutory rights as a consumer. If you receive any item that is incorrect, damaged or faulty, please return it to us within 14 days from receipt, enclosing your order number and the reason for return. We will dispatch a replacement item or a refund within 10 working days of receiving the item. The purchaser is responsible for all return costs. You may cancel your contract with us within 14 working days beginning the day after receipt of goods. Goods must be returned in good condition within 14 days of the cancellation date, and a refund will be processed within 14 days of receipt of the goods. The purchaser is liable for all return costs. A deduction will be made from the refund if goods are not received in good condition. This line is normally open Monday to Friday 9.30am to 5.00pm GMT and costs the standard call rate. Or you can write to us at the address given above. We will acknowledge your complaint within 5 working days and attempt to resolve it within a further 3 working days, if the complaint cannot be resolved within this time we will keep you informed throughout the process. Dragon Leads are committed to protecting your privacy. We will only use the information that we collect about you lawfully (in accordance with the Data Protection Act 1998 and the General Data Protection Regulation 2018). We collect information about you for 2 reasons: firstly, to process your order and second, to provide you with the best possible service. We may send you marketing and promotional e-mails in the future, these are expected to be one e-mail per 2 months. If you do not wish to receive these then please e-mail us at info@dragonleads.co.uk. Instructions will also be included on the e-mails we send if you wish to be removed at a later date. The type of information we will collect about you includes: your name, address, phone number and email address. We will never collect sensitive information about you without your explicit consent. The information we hold will be accurate and up to date. 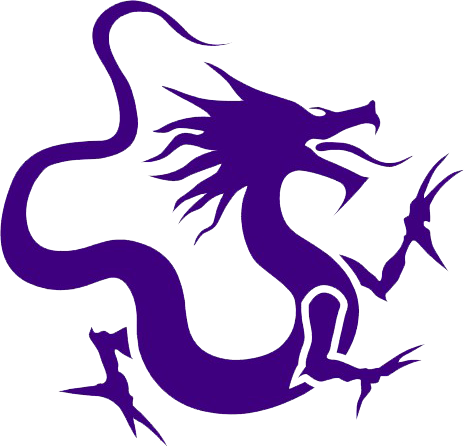 You can check the information that we hold about you by emailing us at info@dragonleads.co.uk. If you find any inaccuracies we will delete or correct it promptly.